13.4 x 10.9 x 5.8 cm. 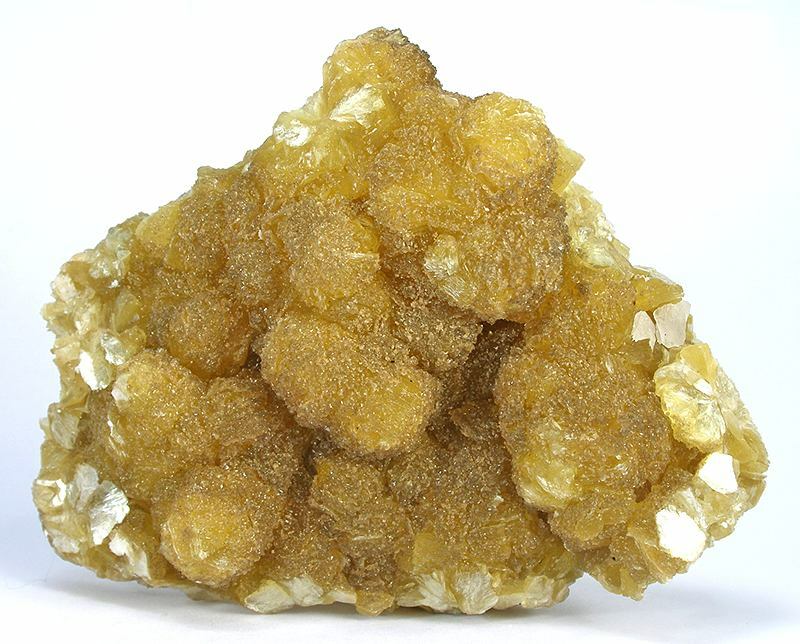 This dark, translucent, sulfur yellow specimen is made up of large, fine, rosettes of lepidolite, to 2.5 cm across. It also has a drusy, dusting of a second generation of lepidolite.